Gaming / general purpose PC. This is my first build in several years after using a gaming laptop for the past 5 years. I splurged and went with the 1080 and 6700k (vs my original build of wanting to use the 6600k and 1070). Also, I am not sure if the current prices will stay attached to the completed build, but my Gigabyte G1 GTX 1080 was $629 at the time. Therefore, this complete build (mouse, keyboard, monitor included) was right at $2100 including Windows 10. I spent a lot of time playing with different options and adjusting prices as I wanted to stay around the $2k budget as much as I could. CPU: Working and tweaking the 6700k still, but thus far I've been able to benchmark and stress this thing up to 4.8GHz @ 1.4v. I've backed off after benchmark and have it running at 4.7GHz @ 1.370v and stable. 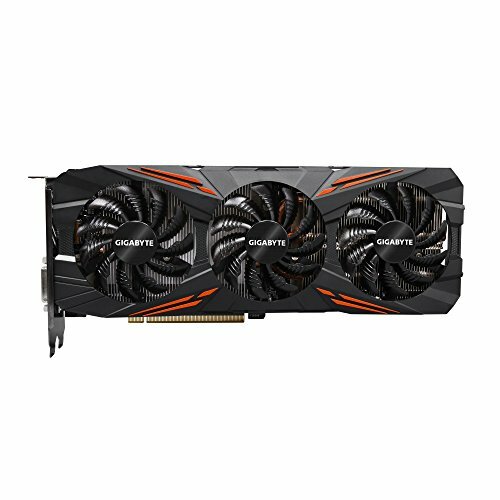 GPU: Very impressed with the Gigabyte G1 GTX 1080. I've been able to get a solid +140MHz on the CPU and +600MHz on the memory (still tweaking and might be able to get more). I re-worked the fan curve using the GIGABYTE EXTREME GAMING ENGINE software, but I do not have an issue with the fan noise being a little louder. With this, I have yet to see my temps go over 65*C under load during benchmarks. I have yet to increase GPU voltage as I am fairly happy with the OC results at this time. 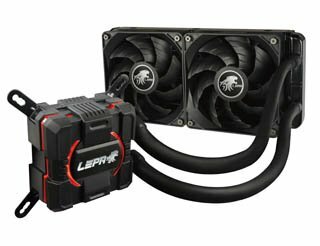 CPU Cooler: I used the LEPA Aquachanger 120 on my wife's PC (AMD 8370), so I gave the 240 a chance (being that it was $40 cheaper than the corsair equivalent). It works great and manages the temperatures as I expected. I keep my apartment a little warmer (76F, 24.4C) so I expected the 27-29*C idle temps on my cpu. Motherboard: I spent a lot time comparing here. This is where I made my first choice to go a little cheaper. The ASUS Z170 Pro Gaming was an excellent choice for the mild overclocking I sought. Bios is straightforward and easy to use. And with starting with single GPU, it has more than enough room for future upgrades. I'm getting similar overclocks as motherboards that are $40-60 more expensive. Memory: As I am not dabbling into extreme overclocking with memory, this was another area for me to save $15-20. I originally was going to use the RIPJAW V DDR4-3200, but went with 2400. No complaints, as its performing as expected at DDR4-2400. PSU: Simply went with a decent Gold certified PSU at 750W. Room for upgrading later if I want to add a second GPU. And it is completely modular, perfect. Case: I LOVE this case. Its absolutely wonderful for cable management and really giving a clean PC look. Coupled with the two 140mm case fans that came with, I added in four of the thermaltake riing fans (the two pack bundles were cheap on Amazon and don't show up on PCPP). Very quiet fans coupled with a great case with a lot of customization. Fans: Just taking a moment as I really like the Thermaltake Riing fans. They are not over the top bright LED fans. They just add a nice soft red to my case to match the rest of the lights on mobo, GPU, CPU cooler. Monitor: Just went with a cheap 1440p monitor and will look at a much fancier 4k gaming monitor in the future. Keyboard: Enjoying it so far as this is my first mechanical keyboard. No RGB but it was another place to save about $50, and the red matched the PC color scheme. 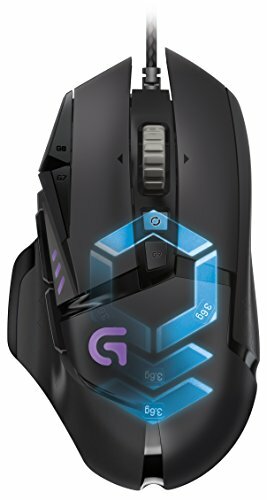 Mouse: First gaming mouse since the G5. So far its smooth and I like the adjustable weight (similar to the old G5) and the RGB feature matches the color scheme. Performing brilliantly and is on par with other skylake processors. I've gotten it to 4.9GHz on 1.42V and put it through a few benchmarks. Have gotten it everyday stable at 4.8GHz @ 1.37V. In my opinion, this is a great price : performance ratio contained liquid cooler. Currently using this with a 6700K, and is handling it as I expected. My idle temps are around 26*C, while keeping it in the high 70's C under load while overclocked. User friendly installation. A great price:performance motherboard for the Z170 group. Has been great for mild overclocking. While it may lack some small features not found on higher-end enthusiast motherboards, it does wonders when you consider it is $40-60 less than the high end boards. Performing as expected. Manually set to DDR4-2400 in the bios and have had no issues. Quality SSD. Loads everything very rapidly. A perfect case for watercooling and cable management. Very spacious and loads of mounting room for fans. Case is very quiet even with 6 120mm / 140mm fans inside. Very clean looking case. Great modular PSU and very stable. Another price:performance good all around PSU. A great fan. Very quiet, good airflow, and not over-the-top bright. Adds a nice low illumination and looks great. I dont blame you for the voltage. i did not test 4.8 because the voltage seemed too high for mine as well. i can run 4.7 ghz at 1.328 Volts. I would have to go above 1.36 to hit 4.8 and i dont want to burn out my cpu from high voltage. Nice Build btw! Thanks! I'll try to continue updating as I progress / fine tune. I'll eventually get the final fans to match and maybe end up painting the white slot covers on the case... but all in due time. As for the CPU, I was able to get it to benchmark at 4.8GHz with only 1.36V, and was AIDA64 stable all the way down to 1.32V (but was crashing when gaming, so had to come back to 1.36). I've gotten it to boot at 4.9GHz with 1.4V, but it crashed and did not venture higher or attempt to bench. I'll still pull back to 4.7GHz soon and see where I can ultimately drop the voltage down, but its good to know I can do 4.8GHz stable and not overshoot on temps. Very nice build, aesthetically that case is awesome. I have one on the way. Question, did you chang out the fans on the CPU cooler to one of the thermaltake's you picked up? Yes, I am using two of the thermaltake fans on the LEPA aquachanger 240. The thermaltakes are much quieter than the stock ones with the aquachanger, and I saw zero difference in temperature. The stock 120mm fans that come with the aquachanger 240 are just solid black. Enjoy your case when it arrives, it is amazing! i'll be doing this too, thanks for the info. After a lot of tweaking and restarting. I was able to get firestrike to benchmark without crashing at 4.9GHz with 1.42V. Screenshot added. I was also able to get 4.8GHz stable with 1.37V and temps staying under 80*C during load.